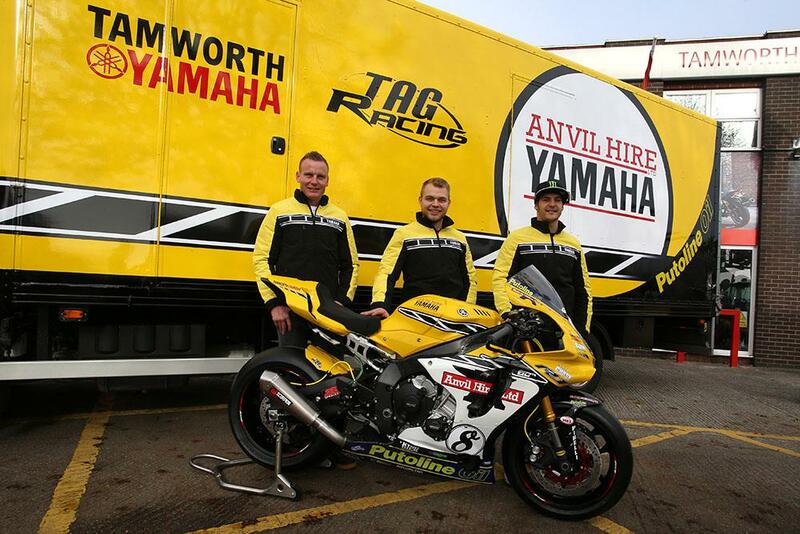 The Anvil Plant Hire TAG Racing squad are set in 2016 for their biggest year since graduating to the MCE British Superbike Championship, as they not only make the switch from Kawasaki to title-winning Yamaha machinery, but also sign two hot young talents in the form of Billy McConnell and James Rispoli to join Shaun Winfield. 2014 Supersport champion McConnell reunites with the squad that took him to third in the 2012 middleweight series, after a tough first year in BSB on the Smiths Racing BMW. But, with the R1 in many ways much more like a supersport bike than a superbike in terms of handling, the Australian is now keen to show what he’s capable of on it. “We’ve already got a good relationship with the team from my first year on the Triumph in supersport, and it’s always nice to be asked to come back to a team after a few years away. Tamworth Yamaha are coming on board as a sponsor too – and I won the R6 Cup for them, so it’s all coming back to me now! A fellow colonial joins McConnell – and someone he’s traded paint with more than once in supersport – in the form of American James Rispoli. Finishing 2015 with a strong run of form that saw him take four podiums in the second half of the season, now looks like the natural time for him to move up. “It’s going to be a good rookie year for me. I’ve just got to take it easy, not to in too big headed, and achieve goals like Luke Mossey did this year. My target is to be rookie of the year at the end. Mossey has gotten a few podiums, which has given me some confidence, has shown a few teams it can be done, and means people like Irwin and I have been given the chance. The duo are joined by Shaun Winfield, son of team boss Rob, whose strong end to the 2015 season should go a long way towards removing any doubts of nepotism as he knocks on the door of consistent top fifteen results.